"Every morning when Eleanor got on the bus, she worried that Park wouldn't take off his headphones. That he would stop talking to her as suddenly as he'd started... And if that happened - if she got on the bus one day and he didn't look up - she didn't want him to see how devastated it would make her." It all begins on a school bus. Eleanor, a chubby girl with unruly red hair and wears mismatched clothing, is new in town. And the other students doesn't let her sit anywhere. Until a boy named Park, who's half-Korean, lets her side by his side. Park was a bit conscious about sitting with Eleanor on the bus. However, as days passed by, with silence they started reading comic books together. And knowing she had a similar interest, Park lend her his comic books and even made a mix tape of songs he thought she would like. Eleanor enjoyed her growing relationship with Park, however she had a life that she doesn't want anyone to know - especially Park. Eleanor had a long and dark family history; her parents are separated and her mother is now with a guy named Richie - who Eleanor hates, and he seemed to feel the same way about her. Eleanor finally reunited with her mother and siblings after a-year living in a house where she was unwanted. However, the house she's living in now is a wrecked place which doesn't even have a door for the bathroom. Eleanor also has to sleep in a cramped room with her siblings. But her biggest fear is if anyone in that house found out about Park. "She couldn't believe she'd let him see that on her book. It was one thing to let him see her crazy life a little bit at a time... So, yeah, I have a terrible stepdad, and I don't have a phone, and sometimes when we're out of dish soap I wash my hair with flea and tick shampoo..."
Her difficult life doesn't end there; Eleanor is also bullied at school, people called her names, steal her clothes, and there's someone who keeps writing nasty stuffs on her books. Thankfully, the time she spends with Park ease her weariness. 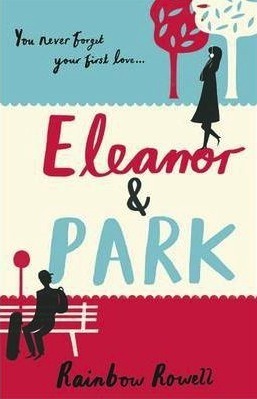 Even though she has to lie to her mother about Park, Eleanor enjoyed every moment she spent with Park. They joke around, talk about comic books and their favorite songs. But Eleanor is always afraid, that if Park found out about her problems, it would be too much to take in. And if Richie found out about anything, everything will end. She knew that her time with Park is running out. "You always ask that. Why. Like there's an answer for everything. Not everybody has your life, you know, or your family. In your life, things happen for reasons. People make sense. But that's not my life. Nobody in my life makes sense..."
"Because it doesn't matter to me, Park. If you like me... I swear to God, nothing else matters." 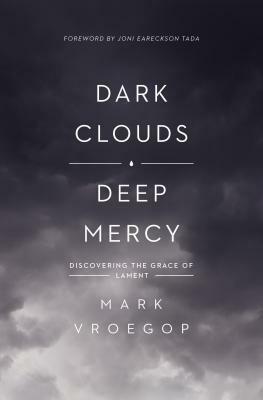 To be honest, I went into this book with a pretty high expectation because of all the hype surrounding it. After so long, I finally picked up this book and it certainly wasn't an ordinary young-adult romance that I expected it to be. It's about two teenagers, with their flaws and insecurities yet finding themselves attracted and are perfect for each other. I absolutely adore this story; because it's all about how they fall for one another and going through the battle with themselves as well as their surroundings. Another thing that I love is how Rainbow Rowell delivers the story very naturally in this book; and each characters are deep with emotions. The story is written in third-person POV, but with alternating focus on Park and Eleanor (which lets the reader knows what each of them are thinking and feeling). 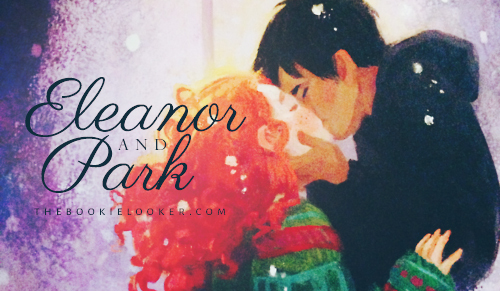 The book starts by introducing the characters, Eleanor and Park, their insecurities and what they had to go through everyday because they're different. A friendship bond started forming between the two, even though it was almost unintentional. Eleanor likes to read the comics that Park is reading secretly; but then she found out Park purposely wait for her to finish reading before flipping the page (aww). Without much communication, Park lend his comic books to Eleanor. Then continues to small talks, and progresses into something more. The biggest conflict of the story is Eleanor's insecurity about her family that is extremely broken and also her physical appearance. 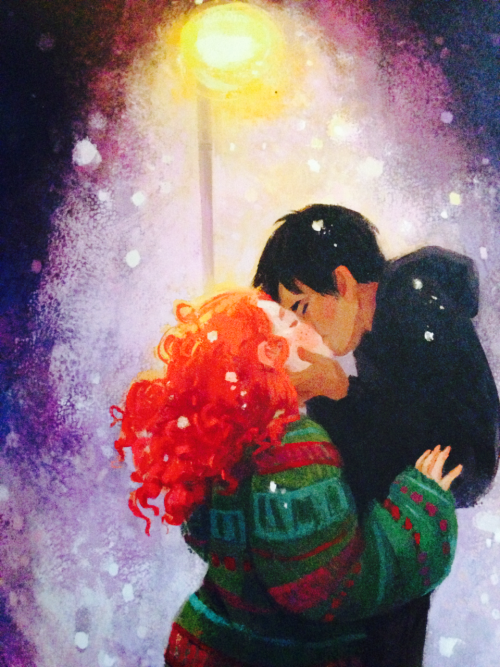 And even though that part doesn't have much development, I'm pretty satisfied just reading Eleanor and Park's super cute interaction and the way they adore each other so much - tons of cute moments. I'm really enjoying the way the story tells their relationship, it's always very hard for me to stop because I keep wanting for more. However, I am a littleee bit disappointed with how the story ends (thus the 4.5/5 rating). Not exactly the ending sentence or anything, just the way the story wraps up the conflict wasn't satisfying enough for me. I won't give much away to avoid spoilers, but the ending sounds very hopeful and definitely makes me relieved enough to finally close the book. Did she have to dress like that? And act like that? Did she have to try so hard to be different? He remembered feeling embarrassed for her. Now, he felt the fight rising up in his throat whenever he thought of people making fun of her." "I don't like you, Park.... I... sometimes I think I live for you. I don't think I even breathe when we're not together.. All I do when we're apart is think about you, and all I do when we're together is panic. Because every second feels so important. And because I'm so out of control, I can't help myself. I'm not even mine anymore, I'm yours, and what if you decide that you don't want me? How could you want me like I want you?" There was something really exciting about that. He liked being near that, that kind of brave and crazy." i was so into Rainbow's writing after reading this book -i practically hunted down her books. She is an amazing writer. The way she writes is great but HER DIALOGUES are THE BEST. I think she nailed the dual point of view. I wish there had been more for the ending. Ya know. We all crave for happy ending. 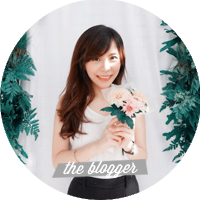 By the way, i have a few questions about blogging but i cant seem to find you email..
Where can i reach you through?